Toor dal is also known as Tur Dal, Tuvar Dal, or Arhar Dal. It’s mild, nutty flavour gives the curry a delicious taste, making it one of the most commonly used lentils in Indian cooking. It can be served with rice or Indian breads like roti, naan etc. Uses - Toor Dal is the main ingredient used in the South Indian sambhar. - It can also can also be used to prepare khichidi. - Toor dal is also used for Rajasthani dishes like Dal Baati. Health Benefits - Toor Dal is a very good source of carbohydrates, protein, fibre and fat. - It contains a lot of minerals such as calcium, potassium, magnesium, iron. - It also contains folic acid which is essential for women. Storage: Store the dal in an airtight container, in a cool, dry place. Basic Recipe: Dal Dals are simple to cook and healthy. This dal needs to be pressure cooked for approximately 15-20 minutes in water with salt and a pinch of turmeric powder. (If the dal is still hard, boil it further.) There are two basic types of ´tadkas´ that can be added to a dal. 1. Heat ghee and add jeera (cumin seeds), a little garam masala and red chilli powder. Add immediately to hot, cooked dal. 2. Or, heat ghee, add jeera (cumin seeds) and chopped onions and fry till golden brown. Add green chillies (optional), grated ginger and chopped tomatoes. Fry for 5 minutes and add spices turmeric, garam masala, red chilli powder (a little). Fry all this for 5 more minutes and then add it to the hot, cooked dal and mix well. The tadka can be varied by adding mustard seeds, curry leaves and heeng (asafetida) along with the other masalas. Adding a little sambhar masala also gives it a different flavor. 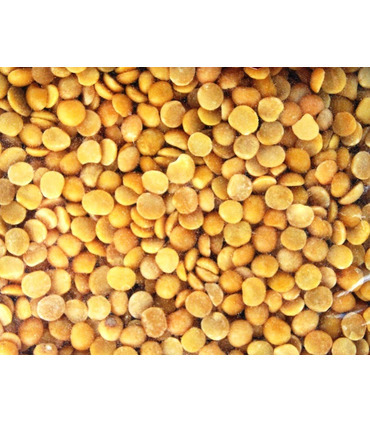 The amount of masalas to be added varies from ¼ to ½ tsp depending on the quantity of dal. Recipe : Sambhar 1. Pressure cook Toor Dal for approximately 15-20 minutes in water with salt and turmeric powder till the Dal is soft. (Boil further if required) 2. Soak a little Imli (tamarind) in water for half an hour and then remove the pulp. 3. Heat oil, add onions and fry, add tamarind water, vegetables of choice (eg: separately fried ladyfingers, drumsticks), turmeric, salt, heeng (asafetida) and Sambhar powder. 4. When vegetables are cooked add the Toor Dal. 5. Season the Sambhar with mustard seeds, 1 spoon Urid Dal and curry leaves. 6. Serve with rice or Dosa / Idli. - Toor Dal is the main ingredient used in the South Indian sambhar. - It can also can also be used to prepare khichidi. - Toor dal is also used for Rajasthani dishes like Dal Baati. - Toor Dal is a very good source of carbohydrates, protein, fibre and fat. - It contains a lot of minerals such as calcium, potassium, magnesium, iron. - It also contains folic acid which is essential for women. There are two basic types of ´tadkas´ that can be added to a dal. 1. Heat ghee and add jeera (cumin seeds), a little garam masala and red chilli powder. Add immediately to hot, cooked dal. 2. Or, heat ghee, add jeera (cumin seeds) and chopped onions and fry till golden brown. Add green chillies (optional), grated ginger and chopped tomatoes. Fry for 5 minutes and add spices turmeric, garam masala, red chilli powder (a little). Fry all this for 5 more minutes and then add it to the hot, cooked dal and mix well. The tadka can be varied by adding mustard seeds, curry leaves and heeng (asafetida) along with the other masalas. Adding a little sambhar masala also gives it a different flavor. 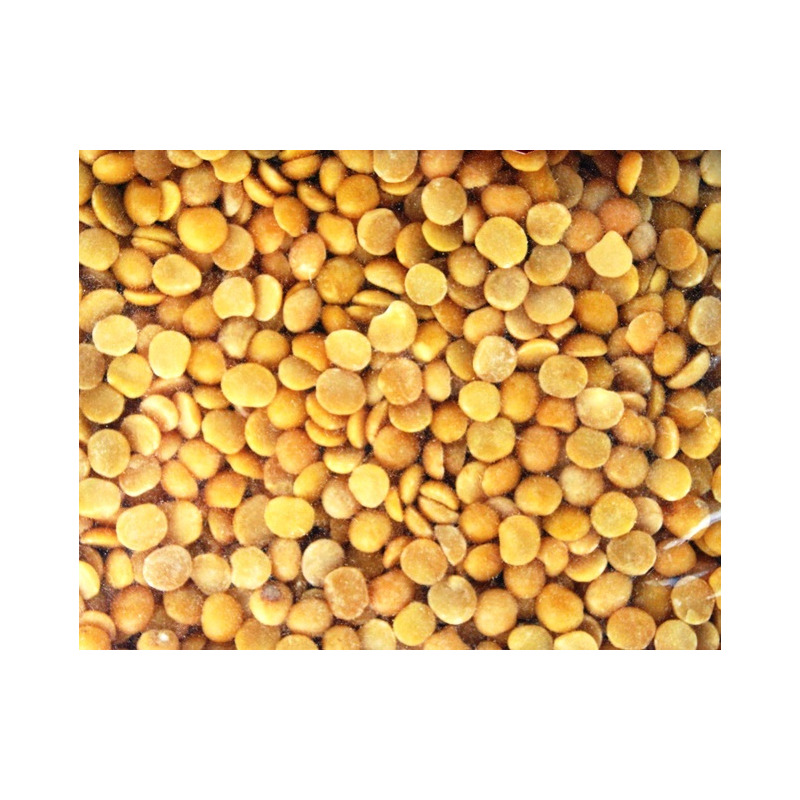 The amount of masalas to be added varies from ¼ to ½ tsp depending on the quantity of dal. 2. Soak a little Imli (tamarind) in water for half an hour and then remove the pulp. 3. Heat oil, add onions and fry, add tamarind water, vegetables of choice (eg: separately fried ladyfingers, drumsticks), turmeric, salt, heeng (asafetida) and Sambhar powder. 4. When vegetables are cooked add the Toor Dal. 5. Season the Sambhar with mustard seeds, 1 spoon Urid Dal and curry leaves. 6. Serve with rice or Dosa / Idli.